I LOVE Caesar salad. Besides Greek salad, Caesar salad is my go to salad of choice. 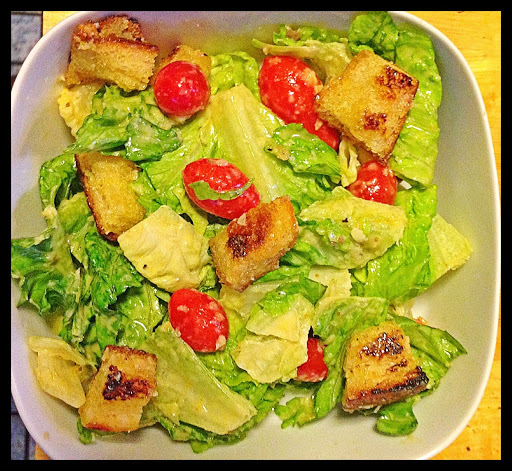 I love everything about Caesar salad, the romaine, the croutons, the tangy dressing, Caesar salad is just yummy! Although Caesar salad has a creamy dressing, it never feels heavy. I don’t buy salad dressings, I always make my own. Although store bought is great in a time pinch, most store bought salad dressings have so many additives, that I tend to just skip buying them all together. I don’t want to even imagine what most store bought Caesar salad dressings have in them! 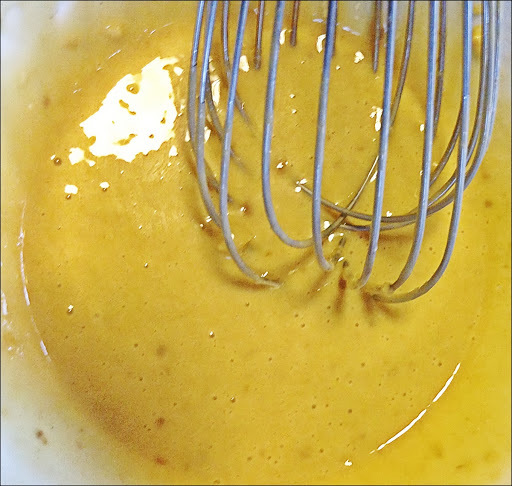 I have made Caesar salad dressing at home with with a shortcut like Vegenaise, which is a vegan alternative to mayo. I’ve never been a fan of mayo, so if I need anything that calls for mayo, I just use the vegan alternative. 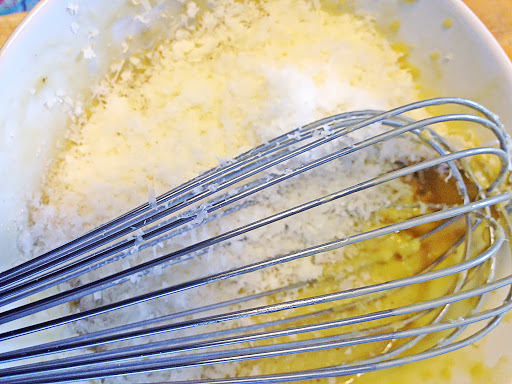 This particular recipe uses 2 raw egg yolks, so your essentially making your own mayonnaise. 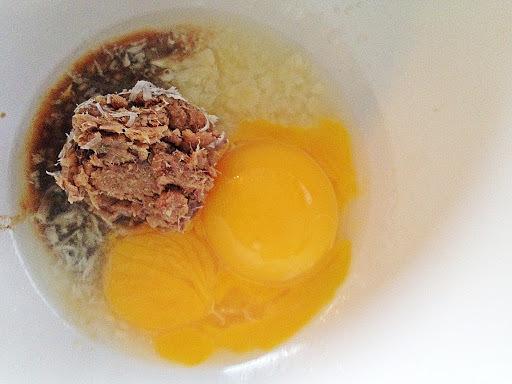 Since we are using raw egg yolks, make sure you use pasteurized egg yolks. I wouldn’t want anyone to get sick. 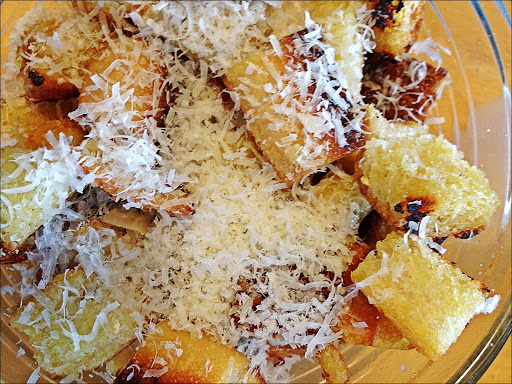 If you’re not a bread person skip the croutons, but these are so good you should definitely try them. Use your favorite artisan bread. I picked up a fresh loaf of sourdough at a local bakery, but a ciabatta or any other fresh bread will work. 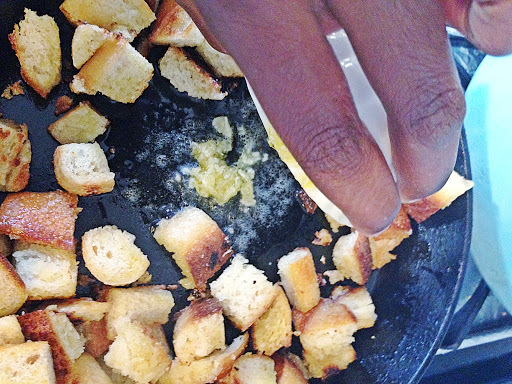 Directions for Croutons: Combine garlic paste and 1 tablespoon of oil in a small bowl and set aside. 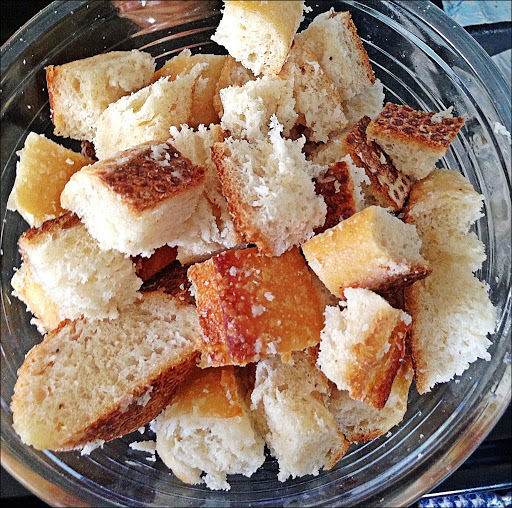 Place bread cubes in a large bowl. Sprinkle with water and salt. Toss, squeezing gently so that the bread absorbs the water. 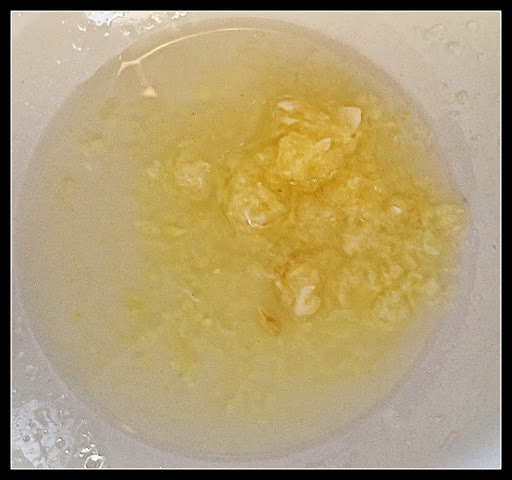 FOR THE SALAD: Whisk garlic paste and 2 tablespoons lemon juice together in large bowl. Let stand 10 minutes, VERY IMPORTANT: DO NOT to skip this step, otherwise your salad dressing will be taste too garlicky. 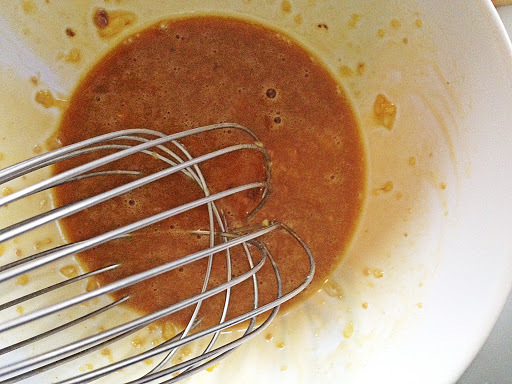 Whisk Worcestershire sauce, anchovies, and egg yolks into garlic/lemon juice mixture. 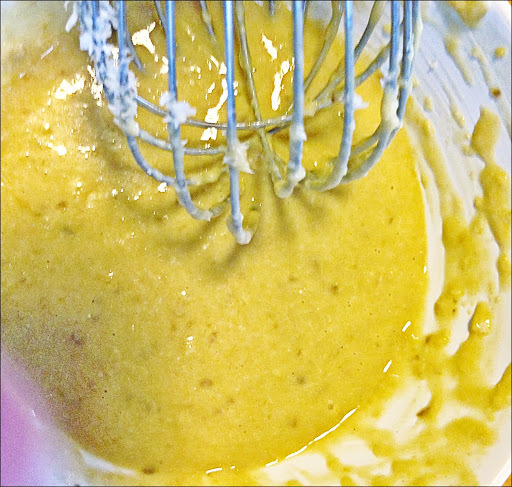 While whisking, drizzle grape seed oil and extra virgin olive oil into bowl in slow, steady stream until fully emulsified. 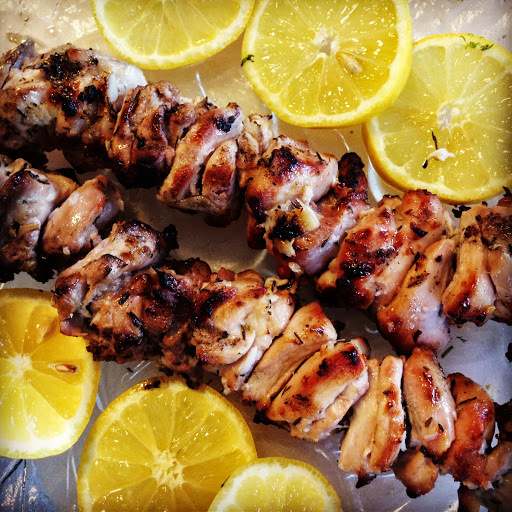 You can add chicken to this if you like, and it will be just as delicious! 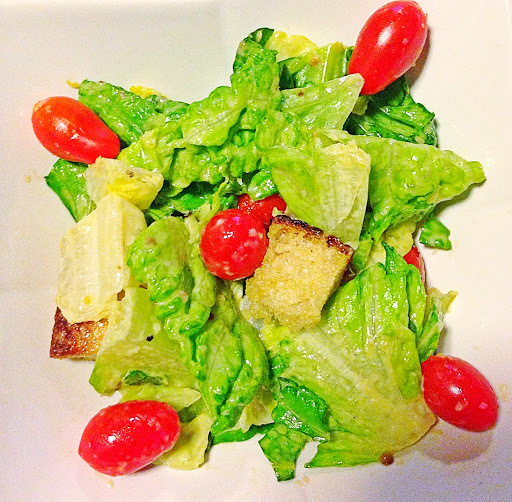 This entry was posted in Food, Food blog, Healthy Whole Food Blog and tagged anchovies, Caesar salad, lemon, Parmesan cheese. Bookmark the permalink. This looks really yummy. My husband has started to eat more Salads so I will have to make this for him. Have a nice week and if there is time stop by and say hello as I found you on Linkedin.